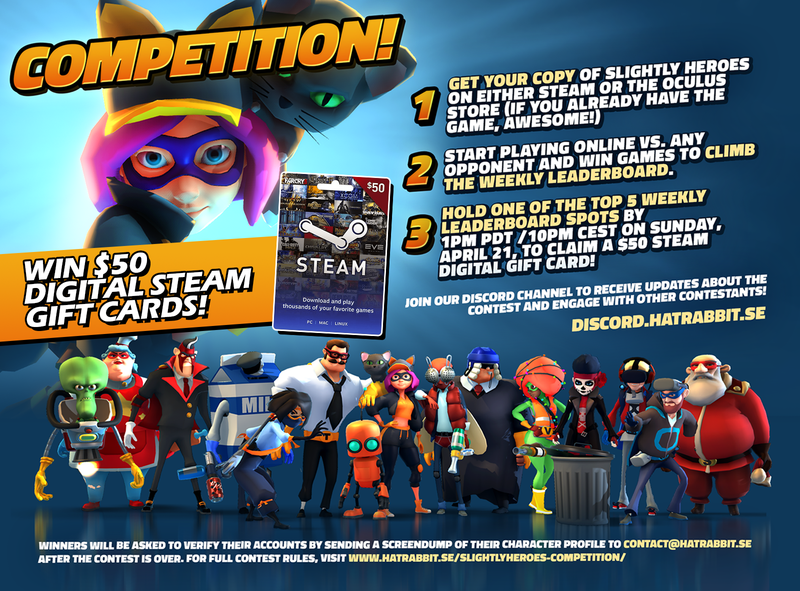 Win $50 Digital Steam Gift Cards in the Slightly Heroes Weekly Competition! You’ve been firing your Banana Beamers & spawning the Mothr Spiders against you foes in regular battles… now it’s time to see just how slightly skilled you really are! Suit up, join the Slightly Heroes Weekly Competition and be 1 of 5 players to claim a $50 Digital Steam Gift Card! See instructions in the image (click to enlarge), and the full contest rules underneath. Good luck and may the best win! The top 5 players on the Weekly leaderboard each wins a $50 Digital Steam Gift Card! ELIGIBILITY: This contest is open to anyone excluding employees of Hatrabbit, Partners and their respective parents, subsidiaries, affiliates and members of their immediate family (spouse, parent, sibling or child and their respective spouses, regardless of where they reside) and persons living in the same household of such employees, whether or not related, are not eligible to enter or win. Arcades featuring Slightly Heroes are not eligible to win. HOW TO ENTER: You need to own a copy of Slightly Heroes game on any existing platform. Start the game, create your profile then play online matches to climb the Weekly Leaderboard. An official Steam profile is required to be able to receive the contest prizes. HOW TO WIN: Hold one of the top 5 Weekly Leaderboard spots by 1pm PDT /10pm CEST on Sunday, April 21 to receive a $50 digital Steam Gift Card. Winners will need to verify their accounts by sending a screendump of their character profile to contact@hatrabbit.se after the contest is over. WINNER NOTIFICATION: Winners will be promoted on the official Hatrabbit Discord, Twitter and Facebook pages shortly after the contest has ended. After winners have verified their game accounts via email, they will be asked to provide their Steam user names. 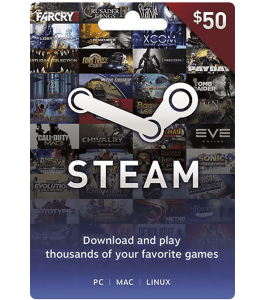 The Steam Gift Cards will then be provided via Steam, for which a Hatrabbit representative will send a Friends Request to the winners and provide the Gift Cards. All prizes will be provided within 30 days after the contest has ended. outcome of the contest on their own terms. Hatrabbit may also disqualify anyone from participating in the Contest or winning the prize (and void all associated entries) if, in its sole discretion, it determines that such person is attempting to undermine the legitimate operation of the Contest by cheating, deception or other unfair playing practices, or intending to annoy, abuse, threaten or harass any other entrant or Hatrabbit representatives. Hatrabbit reserves the right in its sole discretion to cancel, modify or suspend any portion of the Contest for any reason, including should any cause corrupt the administration, security or proper play of the Contest and, in the event of termination, to determine the potential winner in a random drawing from among all eligible non-suspect entries received and combined up to such time of impairment.